In addition to accessing the incredible Colorado Rocky Mountains through hiking, snowshoeing, fishing and more, Silverthorne is home to the largest collection of factory outlets in Western ski country. Most visitors stop in Silverthorne for one reason: shopping! After all, there are over 80 stores in the complex, offering discounts and bargains for goods of all varieties. However, some visitors (in addition to the shopping) come to Silverthorne for the town itself and its access into the White River National Forest. The surrounding mountains offer hiking, snowshoeing, a fantastic golf course and much, much more. 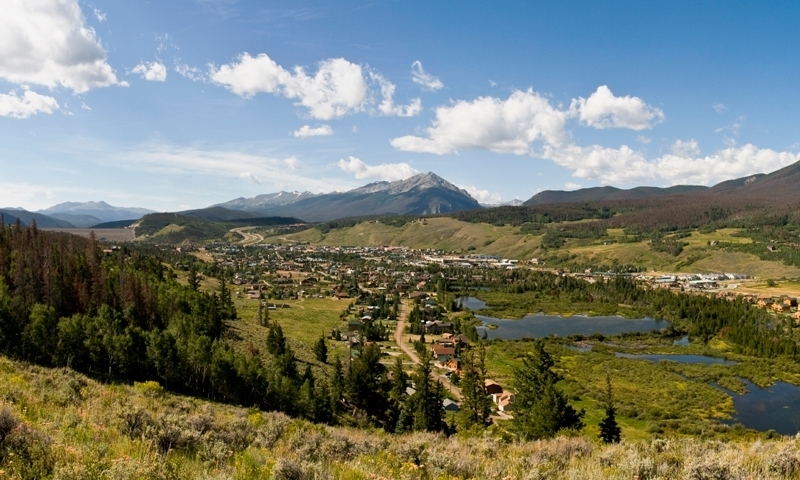 The town of Silverthorne is located 70 miles west of Denver and 30 miles east of Vail at I-70 exit 205. The Silverthorne Factory Outlets are hard to miss. Straddling both sides of I-70, this collection of stores has some of the best prices of brand name goods in the area. This is a bargain hunter's dream, given the selection of options with significant savings attached. In addition, there are a number of equipment rental stores, as well as other service shops, that provide lower costs than shops in the mountain resort towns. Many vacationers stop here for goods and rentals before heading farther into the mountain towns. Hotels and other accommodations also generally carry lower prices, but the distance to the ski hills is a significant disadvantage for many visitors. While it many not have the big name of its neighbors, Silverthorne quietly provides summer and winter activities for visitors of all sorts. There is hiking, biking, golfing, snowshoeing, cross-country skiing and more. It's good to remember that one of the best parts about exploring an area outside of the major resorts is the lack of major crowds. Given Silverthorne's status as a local's community, there are a number of events and festivals to support and celebrate the nearby communities. PumpkinFest, spring concerts, summer contests... the list goes on. One of the bigger events in town is the Blue River Festival, Silverthorne's way of raising awareness about the river's natural resources and the need to protect it. Join in the festivities during the fall for a fun couple of days. If coming from Denver, head west on I-70 for a little over an hour. If coming from Vail, head east on I-70 for about 30 minutes. From either direction, take exit 205 for CO-9. The Silverthorne Factory Outlets will be directly at the exit, and town will be just a few miles north on CO-9.